VILSECK, Germany — Where are my Game of Thrones fans at? 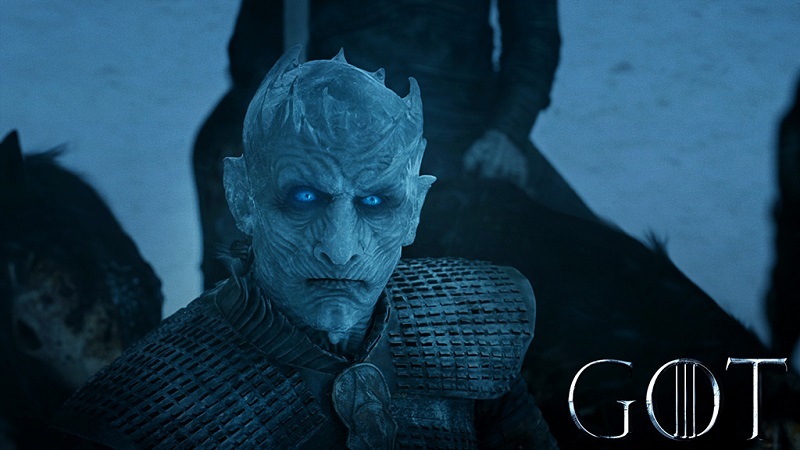 Game of Thrones 7th season will premiere on this Sunday, July 16th at 8 p.m. CST on HBO in the United States, which is 3 a.m., on Monday, July 17th over here. In honor of this premiere, I thought I’d let fans out there know about the filming locations that took place right here in Europe. Season 1 through 5 were filmed in Northern Ireland. Beginning in Belfast at the Paint Hall studio, this is where Winterfell, Castle Black, the High Hall of the Eyrie, the Sky Cells in the Eyrie, the Great Sept of Baelor, Daenerys’s throne room in the Great Pyramid of Meereen and many other scenes were filmed. Unfortunately, the studio is still active and is not open to the public, but it is still noteworthy for the fans who want to breathe the same air that the Queen of Dragons once inhaled. Northern Ireland consists of six counties, and Game of Thrones was filmed in five of them. Next up, Croatia. Season 2 through 6 were filmed all over here. Croatia is a popular vacation destination, and home to many Game of Thrones scenes. Starting in Dubrovnik, and working your way towards Split, you are bound to feel royal as you walk the halls of King’s Landing. Whether you’re climbing hundreds of steps, or gazing out over the Adriatic Sea, it’s easy to see how these locations fit perfectly into the medieval feel of the Game of Thrones series. Remember that ‘shame, shame, shame’ scene? Well, in the city walls of old town Dubrovnik, you can find the exact stairs Cersei walked down for her shameful trek. The warm weather scenes of season 1 were filmed predominantly in Malta. Mdina, Malta is located very centrally, and inland on the island. This location should be especially dear to the real GoT fans, because it is where Daenerys rose from the flames with her newly-hatched dragons. This is also the location that Arya receives her sword, ‘Needle’, which is also a reason to geek out about Malta. Now onto Spain for seasons 5, 6 and 7. The filming in Spain took place in many cities, including Seville, Guadalajara, Girona and Barcelona, just to name a few. Many of these locations in Spain will be new in season 7, so when you walk on the soil in these parts, the presence of the cast and crew will still be so fresh you might see the dragons still lingering in the sky. No promises, though. Finally, Iceland. The most notable and exciting location of them all is the Grjótagjá cave, which is where Jon Snow met Ygritte, and they bathed in the hot springs together. This cave is open to the public, and is actually a tourist destination, where you can swim, lounge, and obviously require that everyone refer to you as ‘Jon Snow’, or ‘Ygritte’, while in your presence. The series also spent a decent amount of time filming in Morocco. If you ever catch yourself traveling south to Morocco, it would definitely be in your best interest to look up the filming locations in that area, too, so you can be the ultimate GoT die hard and make all of your friends insanely jealous. Game of Thrones is a very addicting show, based on the books by George R. R. Martin, who is also a co-executive producer for the show. The books were published in 1996, and the show took the world by storm with its first premiere, back in 2011. The show has received 110 Emmy Award nominations, with 38 wins. If you are caught up on the show, the wait is almost over. If you haven’t watched, you have exactly 1 day, 18 hours, 20 minutes and 6 seconds to get caught up, but who’s counting?